The type of shoes you wear and how often you wear them matters to the health of your feet. This article shares 8 health benefits of going barefoot including sensory stimulation, proper foot development, and increased foot strength. 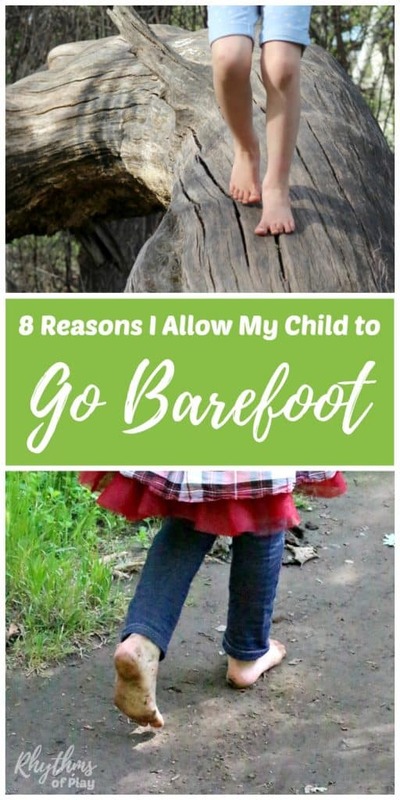 There are many reasons I allow my child to go barefoot. Yup… I’m that mom. The mom that lets her little scallywag of a child storm the playground in her bare feet. The mom who happily proclaims, “sure” when her daughter asks if she can take her shoes off while on a hike or to jump in a puddle. When you see us at the park, please don’t look at me like I’m a terrible mother that should make her daughter put her shoes on. I’m not giving you sideways glances about the fact that your child has their shoes on am I? Yes… I make her wear shoes when it’s necessary. We are not barbarians. There are many reasons I allow my child to go barefoot. Well researched barefoot health benefits that you may want to consider before you tell your little one “no” when they ask to take their shoes off. As a kinesiologist, I spent an entire year learning about the structure of the foot. The foot is the foundation of the body. A poorly constructed foot will result in a poorly constructed body. Your body needs a strong foundation just as much as your house does. I was fortunate enough to work for the Los Angeles County Fire Department as an ocean lifeguard for 20 years. Running around barefoot all day saving lives saved the life of my feet. My grandmother suffered from terrible foot problems and had many surgeries. I inherited her foot structure but have not suffered like she did. She made the mistake of wearing pointed high-heeled shoes, where I ran around in the sand barefoot all day lifeguarding. Because of my grandmother’s choice of footwear, she was not able to walk for the last 6 years of her life. I was able to strengthen my feet while she tore her foundation apart. 1. Proper development of the foot. When the foot is bound in a shoe all the time it can not develop properly. Forcing children’s feet to conform to the shape of a shoe will most likely result in permanent changes to the shape or construction of their foot. A poorly constructed foot can alter one’s gait and lead to a malformed knee, hip, or pelvis. In most cases, it will be a domino effect through the knee, hip and pelvis and can even affect the spine and lung cavity as the child grows. In the past, the prescription for flat feet was to go barefoot. When allowed to go barefoot a child’s feet and gait can have the opportunity to develop properly. 2. Going barefoot helps strengthen the feet and body. Poor footwear will lead to the improper musculoskeletal development of both the feet and the body. Why? …Because the shape and density of the bones and muscles in your feet is a direct result of the loads placed on your body and can affect the way the bones and muscles in their entire body develop. Many of the functions of our feet are altered when wearing shoes. The last thing your feet need is a big bad shoe making them conform all the time. Set your feet free! Going barefoot is the best way to strengthen and maintain the full function of your feet. 3. Overprotective footwear can interfere with movement patterns. Stabilizing modern footwear can interfere with the development of a child’s foot strength, ankle stability, and movement patterns for the rest of their life. If a child wears shoes that help them stabilize their foot how will the child ever learn to stabilize their foot without the shoe? Avoid deformity, weakness loss of mobility by allowing your children to go barefoot every once in a while. 4. Fine motor muscle development of the foot. 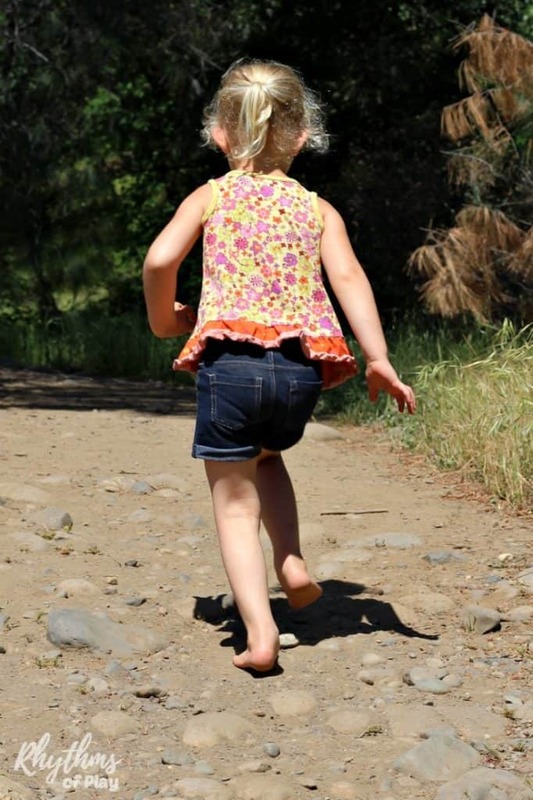 Children become more adept at using their feet when they are allowed to roam barefoot. When allowed to go free, the feet can become sensitive instruments and tools. Otherwise, they become the forgotten appendage forever bound within a shoe. Could you imagine if we wore shoes on our hands? How would we develop our fine motor muscles in our hands if they were constantly bound? The feet have fine motor muscles that need to develop too! 5. 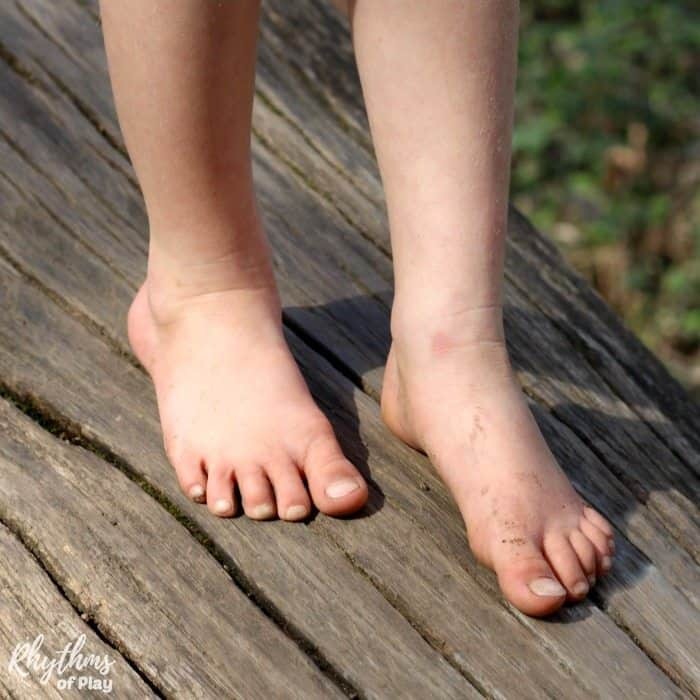 Going barefoot helps children develop kinesthetic awareness and the sensory systems of the body. When we place shoes on our children’s feet we reduce the amount and quality of sensory information the child is getting about their environment and body. 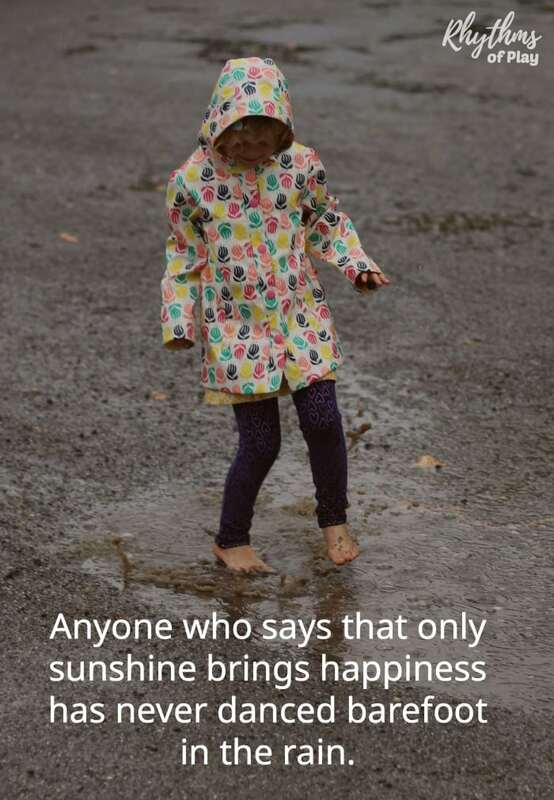 Feeling the earth beneath their feet allows children to develop their somatosensory, proprioceptive, and vestibular sensory systems in ways that are not possible with shoes on. 6. Going barefoot can stimulate the reflexology points on the bottom of the feet. 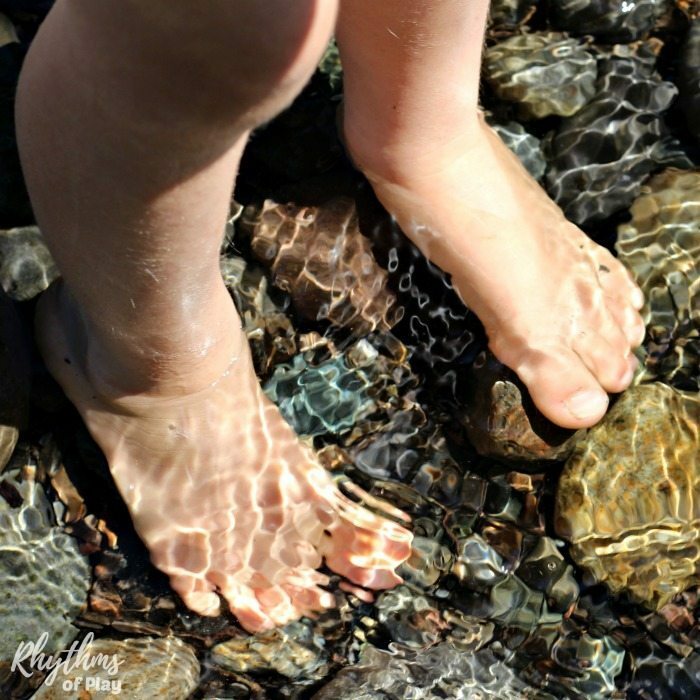 When children are allowed to walk around without shoes the reflexology points on the bottom of the feet can stimulate every major organ in the body. This is good for the healthy development of the whole body. 7. 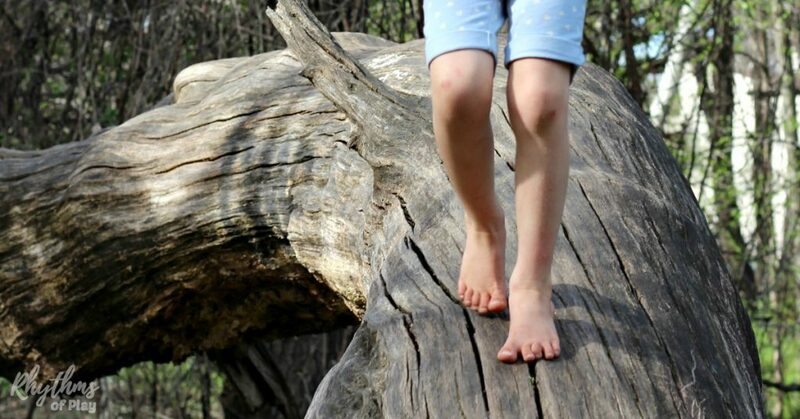 Being barefoot helps children connect with nature and literally grounds them. When bare feet touch the earth they come in contact with negative ions. These negative ions have been researched to have a healing anti-inflammatory effect on the body. When we wear shoes we are creating a shield from the earth and restricting our exposure to the greatest antioxidant source in the world. It’s no wonder inflammation and disease states are on the rise! 8. Having bare feet can help kids stay safe. I know what you’re thinking… Going barefoot will make my child safe!? But what about glass, bees, dog feces and other hazards? 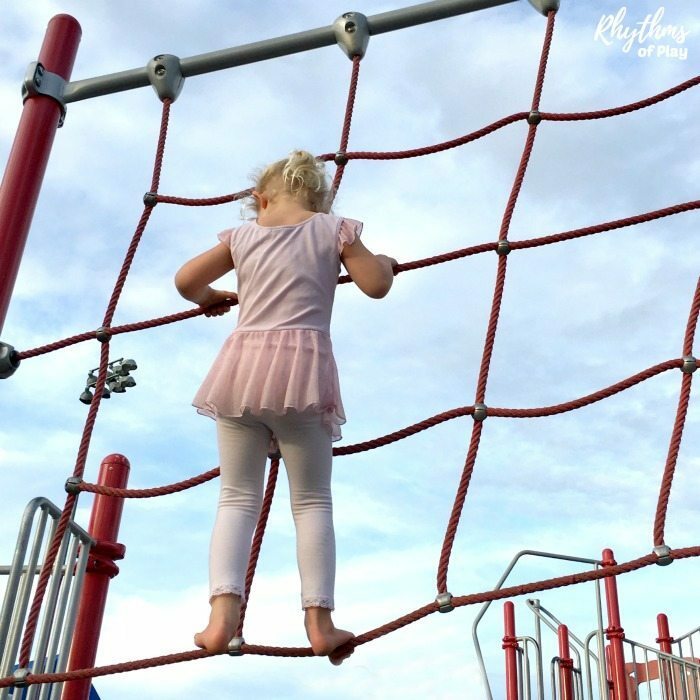 Being barefoot keeps kids safe because they have more control when climbing, running, playing on the playground, etc. They will have more control because their feet will be in direct contact with whatever surface they are on. You’re right… They will have to be on the lookout for glass and other hazards, but their feet will be tough and able to handle most everything else. I don’t know about you, but I feel safer knowing that my child is able to feel the tree or rope she has her foot on instead of struggling to keep her sole from slipping off of it. What types of Shoes are the Best for Children? Shoes are necessary and wonderful… I am not telling everyone to abandon them completely and run for the hills like a bohemian army–lol! However, stiff and compressive footwear may cause weakness, deformity, and loss of mobility. What children need are shoes that can allow them to move and grow as opposed to shoes with too much structure and rigidity. The most helpful shoes allow the foot to both breathe and move properly. Look for shoes that are durable, flexible, and have plenty of room to grow! Whatever you do, please, please, please keep your kids far away from high heels. If they must be worn, reserve them for only very special occasions… And make sure the feet get plenty of barefoot freedom (or at least comfortable shoe freedom) before and after the event. Why? Well… Although the structure of the foot is developed by 2 years of age, the bones in a child’s feet are not fully developed and hardened until they reach adulthood. Wearing high heels before the age of 18 can decimate the feet. Just ask my grandmother. Baby’s and pre-walkers do not need shoes for any other reason than to provide warmth and protection if they are worn at all. Look for flexible shoes or booties that do not bind the feet and allow a full range of movement like THESE or THESE. Toddlers and children need a flexible, lightweight, and well ventilated shoe. Some popular shoe brands that make excellent shoes for kids can be found below. Birkenstock–of course, you knew I was going to say that didn’t you? When I ran childcare in my home many years ago, I had a one-year-old child in my care with clubbed feet. This is where one or both feet rotated inwards and downwards. In her case it was both feet. This sweet little girl traveled 2 hours once a month to be poked a prodded by doctors and specialists that said she would never walk normally. At that time, we lived on a 1-acre lot with lots of uneven terrain and secret places to explore. It was a wild acre with one massive oak tree in the middle, and at least 10 other large trees and bushes growing around it. On most days, weather permitting, I allowed the children plenty of barefoot playtime both inside and outside. After spending 8 months in my care, the doctors and specialist claimed that this little girl was “cured.” They called it a miracle and asked her parents what they had done to make such a dramatic improvement. When her parents explained the barefoot play therapy her daycare provider had given her they were shocked, but not surprised. Of course, they said… That makes perfect sense. Going barefoot helps the feet develop properly! The type of shoes you wear and how often you wear them matters to the health of your feet. Give your child’s feet and sensory systems the opportunity to develop properly by setting them FREE. Allow your children to go barefoot when it’s appropriate wherever they can. You may also be interested in 15 Reasons to climb a Tree and Other Benefits of Risky Play, and our amazing collection of outdoor learning ideas and nature activities for kids. Great post. Very informative, yet concise. Beautifully illustrated! I am always barefoot and my kids are too. As long as they aren’t doing anything athletic, I just teach them to watch where they step! I never knew there were so many great reasons to back it up, I just always hated shoes. My mom could never keep them on my feet! That’s great that you have spent most of your life barefoot and allow your kids to do the same. I think kids instinctively know how good it is for them to go barefoot and that’s why it is so hard to keep them on their feet. I never even bothered battling my daughter about it. I just allow her to make her own choice. She knows when mama tells her to put her shoes on I have a good reason for it so she doesn’t fight me on it. She did at first, but now she knows I only ask her to put them on when she has to and that’s that. I totally agree with your article. I grew up in California and was always barefoot. Now I live in the midwest, and I even run outside to take the trash out or get the mail barefoot in the snow (it’s a quick trip but I still do it!) I have told my granddaughters that they need to feel the earth when they go barefoot (their mom doesn’t let them much). When they ask if they can take off their shoes when they are with Grandma, and I say sure!, it’s like a big event for them, and they love it! Gotta love those negative ions! I let the girls play in the dirt and dig for worms, barefoot, of course! They love being at grandma’s! I love when people are able to give me solid, scientific reasons to back up their choices. Between the time when I read the title of your post and the time I finished reading, you absolutely changed my opinion on this matter. What wonderful information, thank you! Thank you! I love it when people are willing to open their minds to another point of view. I don’t wish to point any fingers or claim that those that make their children keep their shoes on are doing anything “wrong.” Nor do I want people to think that those that choose to allow their children to take their shoes off are doing it “right.” There is no right and wrong in matters like these just like there is no right or wrong in any parenting decision that we make. It is just parents making choices that are best for their family. This is fantastic! I can’t find basic, leather shoes that fit my 15 month old, and don’t want to put him in shoes with hard/rubber soles yet, so he is barefoot all the time. We had a day out over the weekend and he spent ages stomping in a mud puddle. What a rich sensory experience! I wish I would have known the benefits of being barefoot years ago! I started going barefoot in my everyday life a few years ago, even some of my employment I’ve been able to work barefoot! Now my feet and legs and even my back have been so much better off! No more aches and pains ! The tactile feedback and textures is a sensory delight! Thank you for a great artical!